The pre-expansion 8.0 patch is on the PTR, another reminder that BFA is fast approaching! 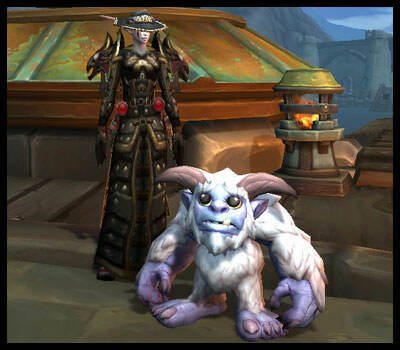 Normally, nothing would be that notable for pet collectors and battlers, but this time around there is a significant change that's happening that we'll want to keep in mind. In 8.0 the Pet Battle currency, Pet Charms, will be receiving an update. They will be renamed to Shiny Pet Charms. On top of that most of the Pet Battle vendors will NO LONGER ACCEPT this existing currency in exchange for their wares in the pre-expansion patch. Instead, items from these vendors will require the upcoming, new currency, Polished Pet Charms. However, these can only be earned in BFA from a couple of quests but mainly from Pet Battle World Quests in the new zones. What does this mean for us? Spend your existing Pet Charms *BEFORE* Patch 8.0. 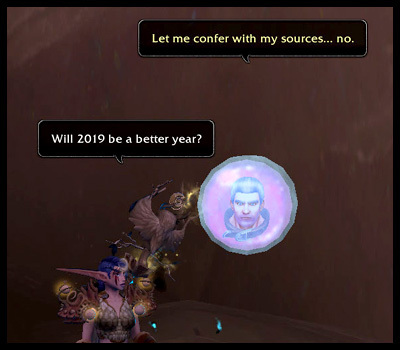 According to Wowhead, the earliest we might see the pre-expansion patch is July 3, but in general, the pre-patch is speculated to come early July. If you want to make the most of your existing Pet Charms or need battlestones to upgrade quality or pet levels, spend those charms before next month! It should be noted, though, that we will not be losing any of our Charms at any point. The Pet Battle vendors are simply switching over to use new currency. We will still be able to use existing Pet Charms at vendors that sell existing pets and toys. Any new pets/toys from BFA vendors will require the new currency, Polished Pet Charms. UPDATE: Unfortunately, Blizzard has decided to add another 2 battle pets to the PVP reward system. 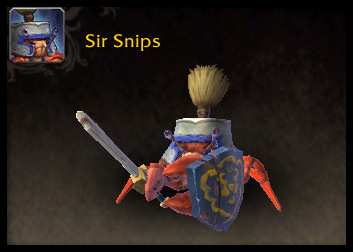 Sir Snips (A) and Bucketshell (H). Both are the reward for Honor Rank 400. Yes. 400. I'm hoping that's a typo, and they meant Honor 40, but it's looking like that is the actual rank we'll need to aim for in BFA. With the changes to PVP coming in BFA, there are still lingering questions that I have about it all. Will there be PVP-PVE options, such as Tower WQs, in the expansion? How quick/slow and easy/hard will it be to reach the necessary rank(s) for the companions? What will the Prestige Rank to Honor Rank conversion look like? Luckily the latter question was answered! A Google Doc spreadsheet (by Vjaera-Proudmoore) was posted in the Bnet Pet Battle forum, and it basically answers what Prestige Rank(s) you'll need to reach Honor Rank 5 in BFA. There's also an addon (ZigiPrestige found on Wowinterface) that you can use that will automatically calculate it for you, but I wanted to use the spreadsheet to calculate different scenarios. If you only care about collecting the PVP companions (and don't mind skipping the other PVP rewards), and have already reached Prestige 1 on a character, you will only need to aim for Honor Rank 5 in BFA. This is because Blizzard has essentially switched the pet rewards around, offering up the current reward for Prestige 7 as the initial PVP pet reward in the expansion. DISCLAIMER: This could change at any point before release - be aware that nothing is guaranteed. If you reached Prestige 1 during Legion, you've collected what will be the higher reward already. Don't beat yourself up grinding super hard to earn more Prestige Ranks now. But should you stop completely? Probably not. Based on the spreadsheet's calculations, here's what you'll need prior to BFA to reach Honor 5 in in the expansion. NOTE: Numbers are probably not exact, so expect some necessary adjustments come launch. Feel free to input your own characters' numbers into the spreadsheet to determine your Honor Rank in BFA. You'll need to copy it to your personal Google Docs account so that you can edit it; instructions can be found on the spreadsheet. Should you keep grinding Prestige now? Personally, I think so, yes. But go at whatever pace feels comfortable for you. At the very least, I highly recommend earning Prestige 1 right now, during Legion. That way come BFA you'll only have to worry about reaching the new lowest milestone (Honor Rank 5). Again, all of this could change. Values could change, conversion rates could change, the order of pets rewarded could change. Even additional companion rewards could be added. Take this information as just a guideline and not an absolute. 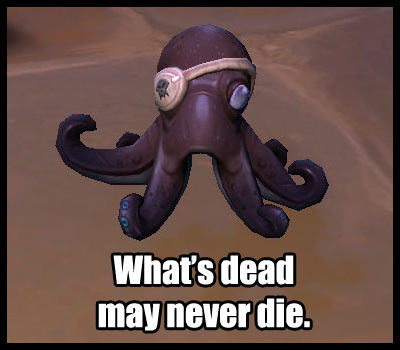 We'll have to wait and see when BFA releases what the final outcome will be. Overall though, this change should be beneficial for most pet collectors. Crossing my fingers that it sticks and everything follows through as previewed. Pet Journal was heavily updated in the latest Beta patch. So much new information! But, as always, things could change, and everything datamined/discovered might not be the final result. In addition to Pet Journal updates, there were other things, but keep an eye on WarcraftPets' front page for more information on that stuff (I'll have something up in the next few days). Instead, I wanted to focus on breaking down what pets are coming in BFA. 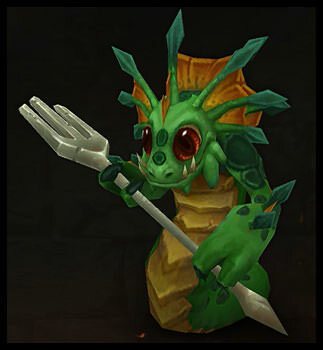 The full list of upcoming expansion pets and their sources can be found on WarcraftPets. Note: There might be a handful of pets listed under the incorrect family type. Waiting on a future Beta patch to check for updates. The second list might be especially important for collectors. There are significant Pet Charm changes coming, and those that want to dump a large quantity of them into battlestones (like myself) might need/want some direction on what to buy. Hopefully this list helps a little in that department. This past week's Beta patch added SO MUCH Pet Battle content! Lots of new pets, pet models, achievements, and WQs were finally unlocked. 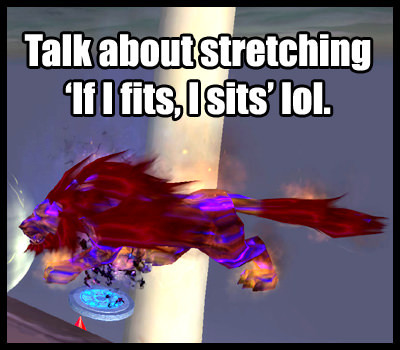 You can read more about it all here on WarcraftPets. 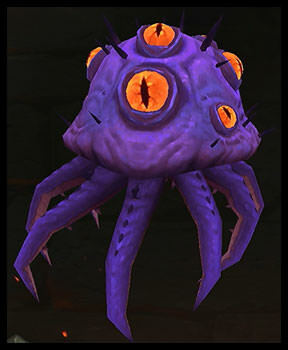 I found a few mobs (that aren't battle pets or critters) of the same name and/or similar model, so it's possible that a few of these will be world drops from those creatures. 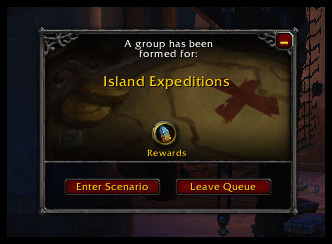 Another possible hypothesis is that many of these will be rewards from the new Island Expedition feature coming in BFA. It's a completely new aspect of the game, so it wouldn't surprise me if lots of cosmetic rewards were included to give players even more incentive to participate. If this is true, the next question is whether or not acquiring them will rely on RNG, grinding/effort, or something else entirely. One pet that might be easier to find, but not so easy to collect, is Miimii (aka: possibly Lagan 2.0 lol). There's also a Mythic Dungeon achievement that involves an NPC of the same name, How to Keep a Mummy. The achievement doesn't have any reward attached to it (yet? ), but even if the achievement itself doesn't award anything, maybe completing it will trigger a special event where players can obtain this pet. If Miimii will indeed be the reward for an achievement, it's got a what I call 'the Lagan complex' - the item that teaches the pet is Bind On Use, however it cannot be caged once it's in your Pet Journal. If Miimii is from an event caused by completing the achievement, and not the achievement itself, then it's not as bad. Still inconsistent binding mechanics and confusing, but less of an issue than Lagan. Other ways these pets might be collected, just off the top of my head: Purchasable using the new currency, Polished Pet Charms. New Pet Battle dungeon rewards. Celestial Tournament-esque event. Aaaaand so on hehe. Anyway, this is all just speculation so far. If you have information on where the pets listed above will come from in BFA, please let me know! Let the datamining commence! It's begun -- we're getting our first look at new and updated content coming next expansion. There's literally too much to post about, so I'll mainly provide links you can browse through at your own leisure. In addition to updated models, there are completely new models. These haven't been confirmed they'll be collectible pets, but there are SO MANY that I absolutely HOPE will be battle pets! Dinosaurs, bumble bees, weird/odd larva/creepy looking things, hermit crabs, etc. Check out many updated/new models in detail on Wowhead's BFA Mount and Creature Models page! Also check out MMO-Champion's BFA model page! There are also tons of new icons that hint at new pets, but we'll have to wait and see. Over the past day or two the WoW Secrets Finding Discord server has been hard at work discovering the secret of Uuna's story. Datamined dialogue from the 7.3.5 PTR was used as sort of a guide to point secret-searchers in the right direction. Still, it took some time and a lot of trial and error. I was of no help, as usual haha. I'm just not creative enough to solve puzzles and riddles like this, I guess. 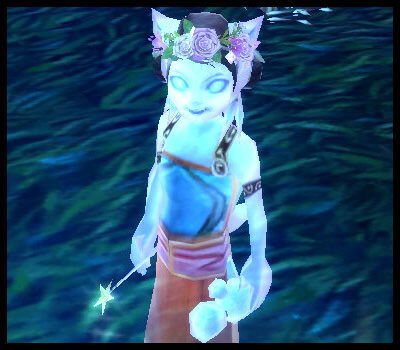 Anyway, Uuna's story has finally been revealed and players can now progress through all necessary steps to learn more about this Draenei ghost child's fate. It's heart-wrenching and totally worth it. The scenario that you eventually travel to was one of the best I've experienced so far. Very atmospheric, spooky, and just a deep feeling of dread. Fitting for the quest and very nicely done! Uuna's story comes in 2 parts. First part (~10 steps) is helping her prepare to fight the darkness, finding her, and then saving her from darkness. The second part (~8 steps) is taking Uuna on a 'World Tour' and visiting specific locations. Here's a TL;DR version of what to do. Note: After step 6 in part 1, you will not be able to summon Uuna. She still appears in your Pet Journal, but attempting to call her out will result in an error, 'Uuna is missin.' Don't panic though, this is just temporary! Once you save her from darkness you can summon her again. Alternatively, you can read this Wowhead Guide to Uuna's story for a full walkthrough of what to do. I'm a little disappointed that part 2, step 2 is bugged for Alliance and Horde that have not completed all Suramar quests though. You enter the wrong phase of uninstanced Nighthold, meaning you can't complete this step until a hotfix is applied. I'm stuck for now, but expect it to be resolved soon. Magical Saucer Collected - Fly My Pretties, Fly! I finally did it. 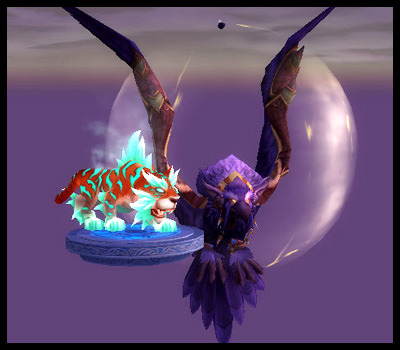 My Mage FINALLY completed her journey for the Magical Saucer toy, so now even my non-flying pets can follow me wherever I go. YAY!! 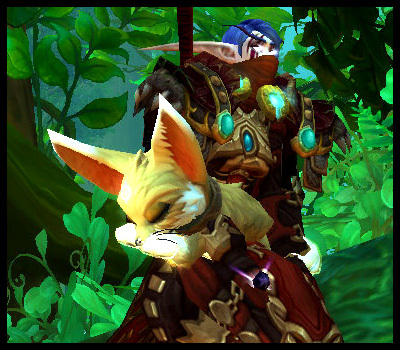 After collecting the other class pets, I took quite a long break from leveling and playing additional alts. I was unsure if my Mage would even see Broken Isles this expansion or if she would have to wait until Battle For Azeroth. Luckily, I was hit with a bout of boredom and picked up leveling her again. 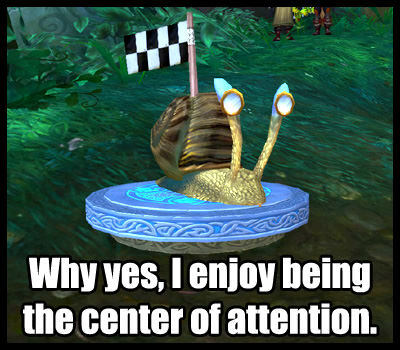 Getting the AP to meet the requirements for the class mount storyline wasn't an issue in the slightest. I know many were concerned that grinding AP would be a massive pain for DK and Monk class pets, but with the catch-up mechanics in place... the AP didn't even register to me. I was well beyond the required weapon level by the time I unlocked the mount quest. What REALLY took some patience and time investment was the simple act of leveling. Going from 1 to 110...oof. It's not that it was "hard" or anything. Heirlooms make life so much easier. It's just tedious. I've done and seen these quests multiple times before, so it's not exciting or new. Same thing, different character. The repetition is what made the process feel dragged out, for me at least. But if you're determined, like I was, you push through the monotony and get to that sweet spot and before you know it, you're looking around for the class storyline and Broken Shore campaign lol. 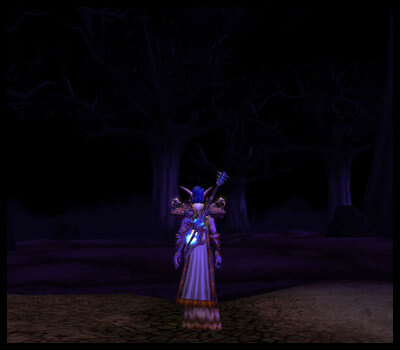 I also rediscovered my joy of Draenor leveling during my Mage's adventure. Flying around and finding/looting treasures for experience? Yes please! It was all worth it! I love playing around with this toy, and it's coming in handy for taking better, eye-level screenshots. (I would still prefer a pedestal-type of toy for battle pets, but this will do for now :P) I've already done some experimenting with combining toys and buffs on 'mounted' pets hehe. So for the time being, my class collecting adventure is done. Druid, Demon Hunter, Shaman, Warlock, Death Knight, Monk, Rogue, and now Mage... 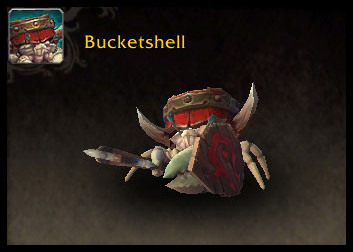 I can check off all these battle pet-related classes from my 'To Do' list. Hooray! Any alt that I level from here on out is purely for miscellaneous reasons (like collecting class mounts...? lol). For anyone still working on pet-related classes, keep on keeping on! Just enjoy what you can while you can, and take it in stride. It's slow and boring and tedious at some parts, but the end result is worth it. Heirlooms make it go faster but aren't absolutely necessary (I only had the heirlooms that go up to level 90 because I was too cheap to upgrade to the 100 and 110 ones haha). Having some sort of music or video/movie streaming either on a second monitor, in the background or on TV can help make the time fly. And remember, you don't have to do it all at once. You can take breaks, long or short. 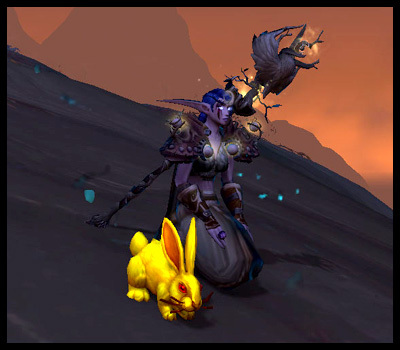 Blizzard has stated that there are no plans to remove the class pet-related stuff.